Aaron: We were really excited for this bottle (and that was before we even saw the price tag!). As soon as we noticed the bleeding on the cork we were a bit concerned and it looks like the bottle had gotten pretty oxidized. Good lesson which we didn’t abide by: take back a bottle if it doesn’t look good. Most wine retailers are very good about replacing a bottle if it’s clearly gone bad without any hassle. Overall, I could tell this would probably be exciting, but sadly can’t rate it. 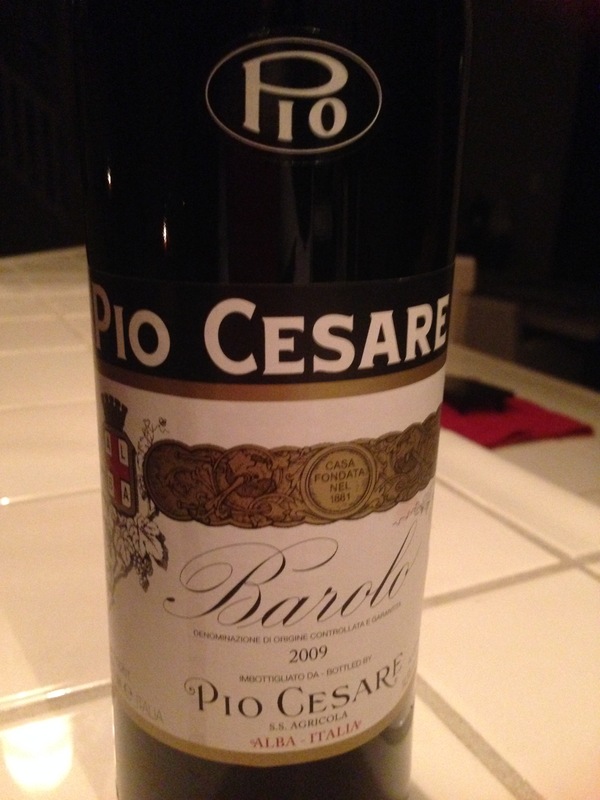 Teri: This Italian red carried the classic spicy and earthy tones known to northern Italian reds. With a background of oak and cherry, I tasted spice from sip to swallow and heavy mineral flavors. The tannins were noticeable and slightly chewy (which surprised me for a 2009 bottle). Perhaps a little longer in the bottle would do well for this wine. I also noticed that our bottle had some spilling around the wrapper and cork which could have effected its flavors. Overall not a great bottle. No rating. This entry was posted in Red and tagged Italian Red, Italy, Red by aaronandteri. Bookmark the permalink.